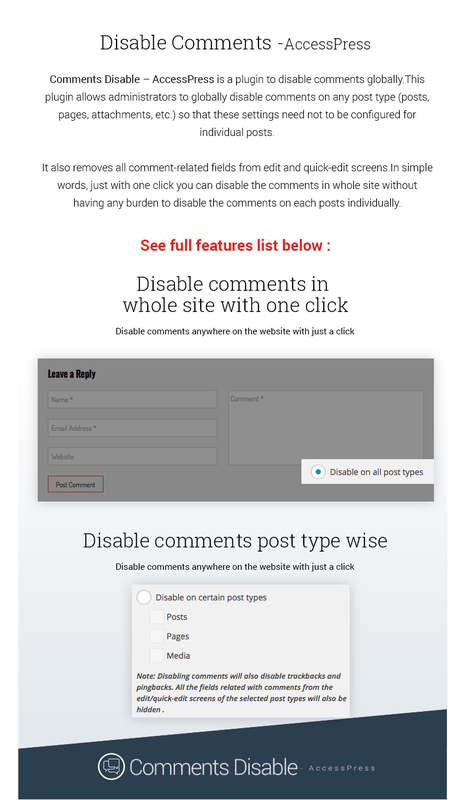 Hey Buddy!, I found this information for you: "Comments Disable Plugin for WordPress – Comments Disable AccessPress". Here is the website link: https://access-keys.com/wordpress-plugins/comments-disable-accesspress/. Thank you.